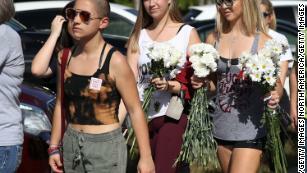 Washington (CNN) As critics have taken aim at law enforcement for missing warning signs about South Florida school shooter Nikolas Cruz, public records have emerged that conflict with Broward County Sheriff Scott Israel's statements about the number of times deputies were dispatched to the shooter's home. On Feb. 15, CNN received a Broward County Sheriff's Office log based on a public records request showing 39 calls from Cruz's house over a six-year period. During CNN's town hall on the Parkland school shooting last Wednesday, NRA representative Dana Loesch confronted Sheriff Israel about those 39 calls, though she inaccurately described them as being 39 visits from police in one year. The next day, at a press conference in the wake of growing public criticism, Israel said his agency "has been involved in 23 type calls involving the killer in some way, shape or form -- or his brother." On Saturday, the sheriff's office reiterated that lower figure, releasing this public statement: "Since 2008, BSO responded to 23 incidents where previous contact was made with the killer or his family. STOP REPORTING 39; IT'S SIMPLY NOT TRUE." That day, he made the same claim in a letter to the governor. However, based on logs of the original calls and additional records since obtained from the agency, CNN has found that the Broward County Sheriff's Office actually received 45 calls in the past decade related to the Cruz home, Nikolas Cruz or his brother -- even more than previously thought. The documents in question include call logs from the law enforcement agency's "computer aided dispatch" system. The records list police calls from the home at 6166 Northwest 80th Terrace in Parkland, Florida, which was the home owned by Nikolas Cruz's mother during that time period, according to property deeds. Each listed police call has a unique identifying number, dispatch date and time, and description. The descriptions include mentions of a "mentally ill person," "child/elderly abuse," "domestic disturbance," "missing person," and more. The vast majority of the calls resulted in "no written report." 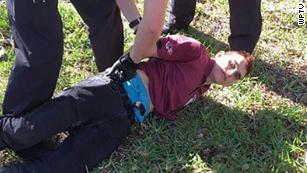 A CNN review of the records shows that at least 19 calls relate to Nikolas Cruz, starting when he was as young as 9 years old. An additional 25 calls regarded only his younger brother, Zachary, for behavior ranging from running away to hitting his mother. A final one is ambiguous about which boy it involves. Several calls involving Nikolas were not cited on an original list of 39 calls related to the Cruz home, but were detailed in a separate document released by the sheriff's office last week. One of the original calls turned out to involve a neighbor. Calls relating to Nikolas Cruz include descriptions of fights with his brother, cursing at his mother, and throwing her against the wall for taking away his Xbox. The issues brought to the sheriff's attention worsen over time. In 2014, someone accused him of shooting a chicken with a BB gun. Records show that in 2016, a neighbor warned the sheriff's office of an Instagram post in which Cruz said he "planned to shoot up the school." This week, Joelle Guarino told CNN she placed the 911 call and had begged the sheriff's office to intervene. She was told there was nothing deputies could do until Cruz actually did something, she said. Students at Marjory Stoneman Douglas High School returned to campus on Feb. 25 for the first time since the shooting that killed 17 people on Feb. 14. Later that year, an unidentified peer counselor alerted the Marjory Stoneman Douglas High School's school resource deputy that Cruz "possibly" drank gasoline "in an attempt to commit suicide," was "cutting himself," and "wished to purchase a gun." An investigator with Florida's Department of Children and Families spoke to Cruz, but his therapist ultimately advised that he was "not currently a threat to himself or others" and did not need to be committed. On November 1, the day his mother died, Broward Sheriff's Office received a call from Lynda Cruz's cousin, who warned deputies that Cruz had rifles and pleaded for them to "recover these weapons." On November 30, the sheriff's office received a call from a tipster in Massachusetts who warned them Cruz was "collecting guns and knives," and "could be a school shooter in the making." Records show the deputy "referred caller to the Palm Beach Sheriff's Office," which had jurisdiction over Cruz's temporary home with a family friend. Within days, Cruz was back south in Broward County staying with another friend's family. On Sunday morning, Sheriff Israel appeared on CNN's State of the Union program. Anchor and chief Washington correspondent Jake Tapper asked Israel if he takes "any responsibility for the multiple red flags" that were brought to the agency's attention. "Jake, I can only take responsibility for what I knew about. I exercised my due diligence. I have given amazing leadership to this agency," Israel replied. Since the attack, which killed 17, there have been multiple calls for the sheriff, a Democrat, to resign from his elected post. On Saturday, Florida State Rep. Bill Hager (R-Boca Raton) urged the governor to relieve Israel for "gross incompetence." On Sunday, Florida Speaker of the House Richard Corcoran (R-Land O'Lakes), wrote a letter to the governor citing the department's "failures to intervene" with Nikolas Cruz that are "unacceptable and unforgivable." CNN's Rosa Flores contributed to this report.